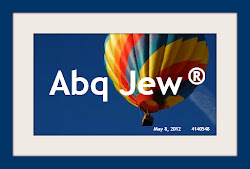 Jewish New Mexico - A Synopsis of Survey Results: As you know from Abq Jew's blog post NM Jewish Population Survey Results Announced, preliminary results of the only established permanent floating Jewish Population Survey in New Mexico have just been released. And if you've been following (you have, haven't you? 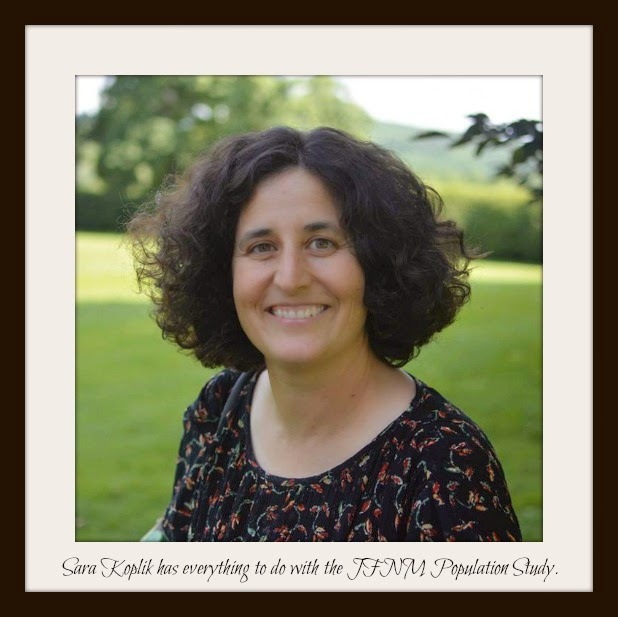 ), you must surely know that the beautiful and talented Sara Koplik has everything to do with the JFNM Population Study. What she also has to do with is Community Outreach, Hillel at UNM, Lobos for Israel, the New Mexico Jewish Link, and the NEW! 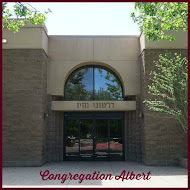 New Mexico Jewish eLink..
Sara chose to return to Albuquerque to raise her son, bringing her incomparable erudition, knowledge of all varietals of Jewish life and general menschkeit to so many realms of the JFNM. As a trusted advisor; her soul-deep understanding of our community has been a blessing to me and the work of JFNM. And as of March 17 - Israel's upcoming Election Day, curiously scheduled for St Patrick's Day - Sara will not, with God's grace, be doing something markedly different. We are no longer making wild guesses about the Jewish people of New Mexico. Until a few weeks ago, I would have told you that the intermarriage rate among young couples was over ninety percent in our state. I was wrong. It is only 41% among those aged 18-34. I would have told you that there are about 12,000 Jews in our state, but I was wrong. Our population estimate is twice that number, or 24,000 individuals. We do not comprise half a percent of the population of New Mexico. We are a slightly more robust, but still a very small one percent. Finally, we have real data with which to plan and to build. 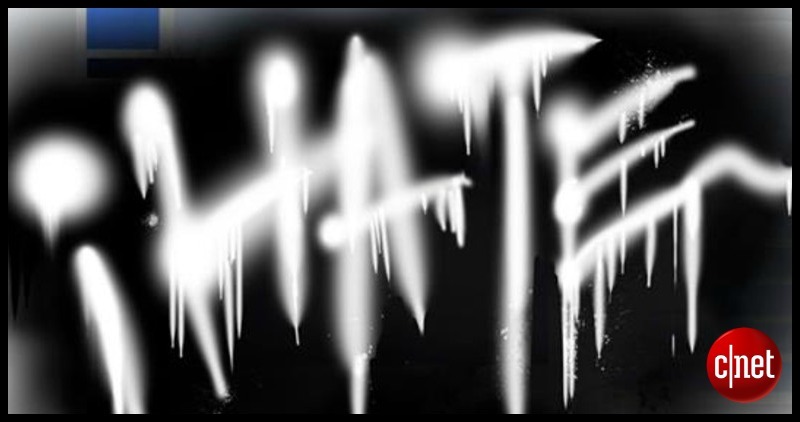 We know that our community is more "normative," more like other Jewish communities across the US in some ways, in synagogue membership, in emotional attachment to Israel, in placing a value on having Jewish friends. But, in other ways, we are different. This difference isn't negative, in some ways, it is extraordinary. It means that now we may serve the real needs of our community, and not simply the ones that we previously imagined them to be. For the Jewish Federation, all of these results are critical to our mission, our direction and our future. We are sharing them widely so that as many Jewish institutions and individuals as possible can benefit from the portrait that they depict. 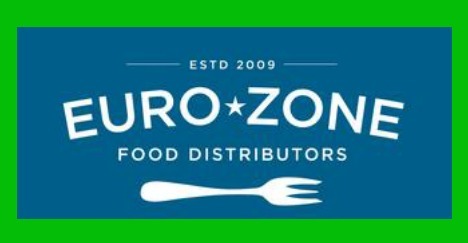 Our goal is that all can benefit from a fuller understanding of our community. To read the full 55-page report, please visit www.jewishsurveynm.org. For the first time in our history, we have a portrait of the Jews of New Mexico. It is clear that our community is remarkably stable. 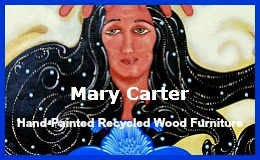 We place a high value on our ancient heritage and also our modern community. 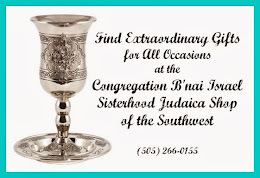 Ninety percent of Jews in New Mexico consider being Jewish very or somewhat important in their life. Seventy-eight percent report actively participating in the community, donating money and time. 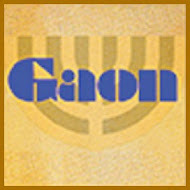 The majority of Jews can follow a service in Hebrew, are synagogue members and are married to another Jew, be it by birth or through conversion. Our children are beloved, but we have very few of them. Jewish fertility rates are simply lower than that of the general population. Fewer families have children (only one-quarter of respondents report children in the home), and fewer children are born (only 15% of parents have more than two children). But, those children experience greater stability than many in our state, as 80 percent of individuals with children under 18 in the home are married, and most parents are over age 35. Our educational levels are very high, significantly higher than Jewish educational levels found nationally. In New Mexico, 59% report having a graduate degree, as compared to 35% of Jews nationally. 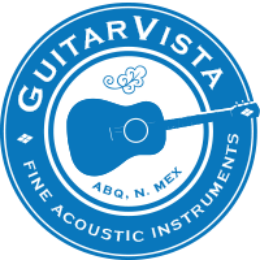 Perhaps it is the influence of the laboratories and universities, or perhaps it is the result of so many individuals moving into New Mexico as adults. More analysis will be needed to determine why this figure is so much higher than expected. 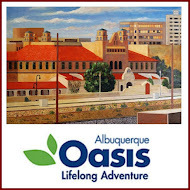 As is apparent in any community gathering, we are an older community; older than New Mexico as a whole and older than Jews nationally. Half of our adult respondents were over age 55, one-third were over age 65. This presents us with distinct challenges. 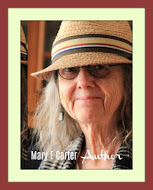 How will we meet the needs of our aging population? What services do we need to provide for our community? Do we need to look into creating more places to live, better transportation, help in the home, or more opportunities for socialization? Certainly, even end of life issues and cemetery space are issues to consider. 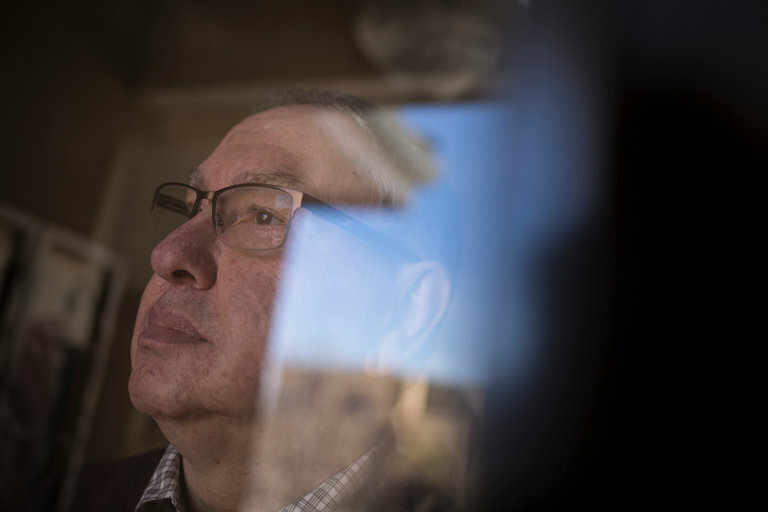 Some clergy members have told us that there is just no way that 59% of Jews in New Mexico are members of a synagogue. Indeed. It is 59% among those who took the survey. 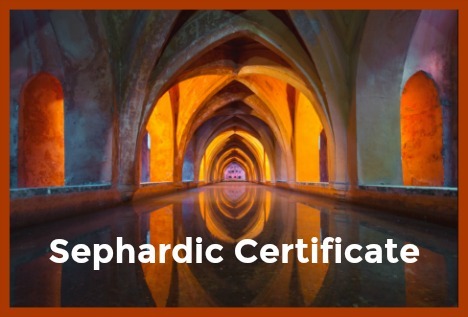 Survey respondents were solicited primarily from lists that synagogues and Jewish organizations provided to the Jewish Federation of New Mexico. We also had some random digit dialing based on lists of known Jewish surnames, and sent out press releases to the larger media. 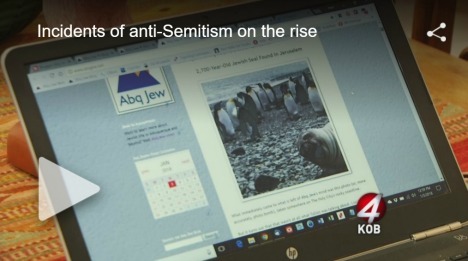 But for the most part, the responses shown here come from people who want to be found, people who want to be counted as Jewish, and who are already connected in one way or another, be it with a synagogue, the JCC, PJ Library or the Santa Fe Jewish Film Festival. While we may not have been able to reach people who have never identified themselves as Jewish to an institution, we clearly reached many. The results from this sample show that even among those who are often connected to Jewish institutions, 41% are not synagogue members. It is safe to say that response rates were incredible. We estimate that 7% of the whole Jewish population answered the survey. When receiving phone calls from Kupersmit Research, community members did not hang up the phone. They stopped what they were doing and answered questions for about ten minutes. Similarly, for those who took the email version of the survey, an astronomical 98.4% of those who started the questionnaire finished it. We did not expect this level of commitment and interest. 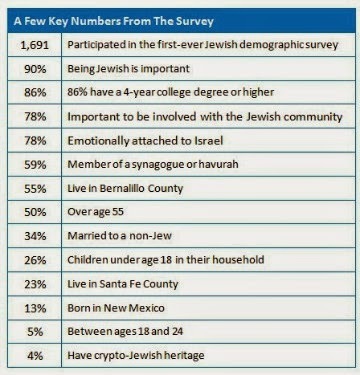 As a rare native New Mexican Jew, I found this survey more hopeful and more poignant than I expected it to be. One of our constant refrains is survival, 'Am Yisrael Chai, and continuity above all. I was astonished by our relatively low levels of intermarriage and high levels of education. The vast majority of respondents value Judaism and their connection to the Jewish people. We are generous, and give tzedakah in very high percentages. I firmly believe that we can face the challenges of our community together. 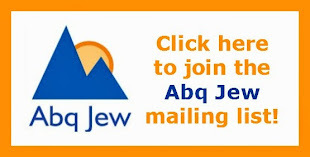 The Jewish Federation of New Mexico would like to extend a warm and heartfelt thank you to all those who took the time to respond to this survey. Your voice counts. Your experience matters. Thank you for taking the time to share part of your story. Now, we can prepare better for our collective future. But, our work isn't over yet. Phase II is about to begin. 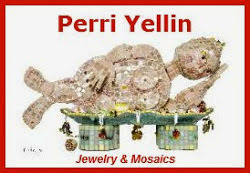 We will be conducting focus groups very soon, to understand the Jewish New Mexican experience in more qualitative detail. 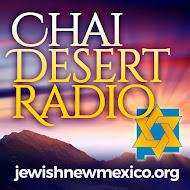 at www.jewishsurveynm.org or call JFNM at (505) 821-3214.
of the Jewish Population of New Mexico, please visit www.jewishsurveynm.org. (including charts), please visit www.nmjewishelink.com/demographics.php.